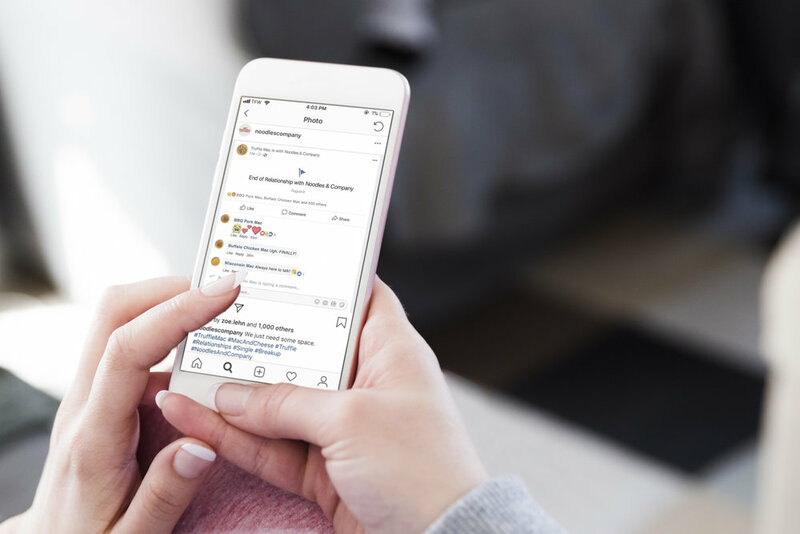 As part of my internship with Noodles & Company in the summer of 2018 I had the opportunity to not only help manage the Facebook page, but also design my own social media post. With the change of summer to fall, Noodles regularly rotates out a standard Mac and Cheese option for a seasonal variation during Q3. 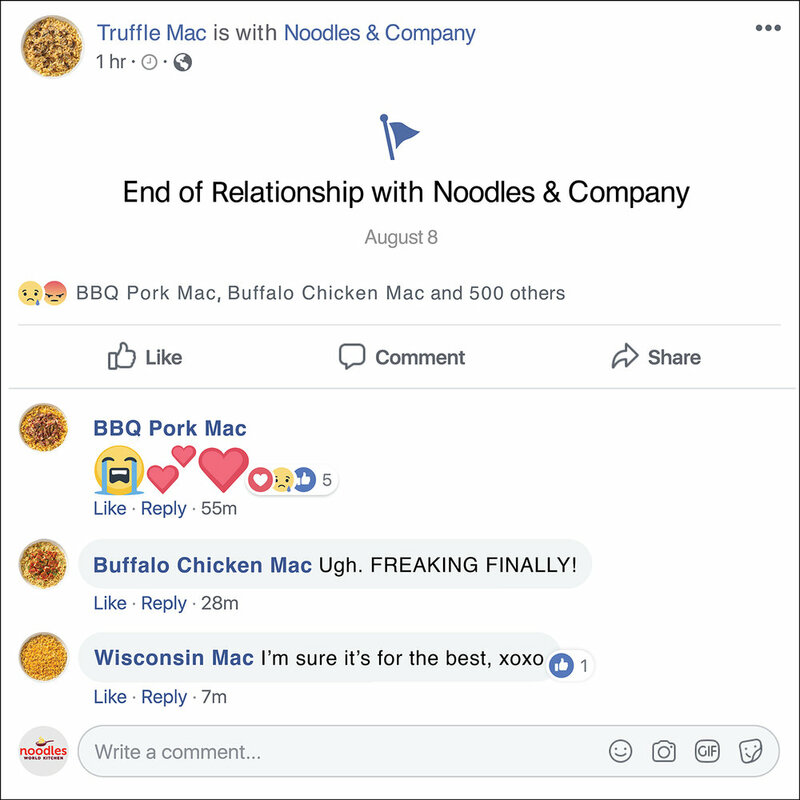 With this years change I had the opportunity to design the announcement post, where I mocked a change in relationship status post between Noodles & Co. and the Truffle Mac. In previous posts, the “Macs” have been portrayed as having different personalities, which I tried to channel when coming up with the various responses to the artificial post. Having observed Facebook responses for a while up to that point, I wanted to bring some humor to the announcement as to sway the response to a more positive or joking light, as well as create something that others would feel inclined to respond to. While guests were sad to see the Truffle Mac leave for a while, the overall engagement on the post via Facebook and Instagram was very high, with 292 reactions, 135 comments, and 28 shares on Facebook, and 1,005 likes and 181 comments on Instagram. The post even received recognition by the CEO, Dave Boennighausen, in his weekly office-wide email. The biggest decision after deciding upon the relationship status motif was the kind of response and personality the other macs would have as a result. I took reference from previous posts personifying the macs to decide on their types of responses. The traditional mac took on a comforting “best friend” role, the buffalo mac a spicy and bit spiteful friend, and the bbq mac as the overly emotional friend. There were a few edits to the specifics in language, keeping to these personas. The decision was ultimately made to add in a hint of the new mac using the “friend is typing” feature.